I will be the first to admit that I love bagels! Give me a warm and/or toasted bagel, topped with a little cream cheese and I am in heaven. When I stumbled across this recipe for homemade bagels that only had 2 ingredients, I was skeptical, especially when I realized what the 2 ingredients were! 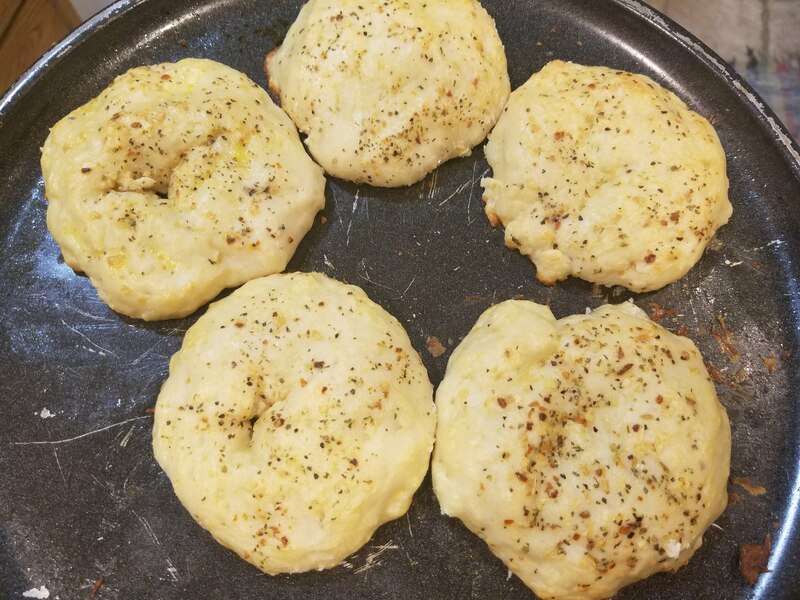 Ok, truthfully there are 4 ingredients, but the 3rd and 4th and minimal.Who would think that self rising flour and plain Greek yogurt can be mixed together to make bagels? I figured I’d at least give it a try so I picked up some self-rising flour and got to work. After a quick egg wash and seasoning to the top, into the oven they went. 22 minutes later, I had fresh hot bagels! What is your favorite bagel flavor and topping? 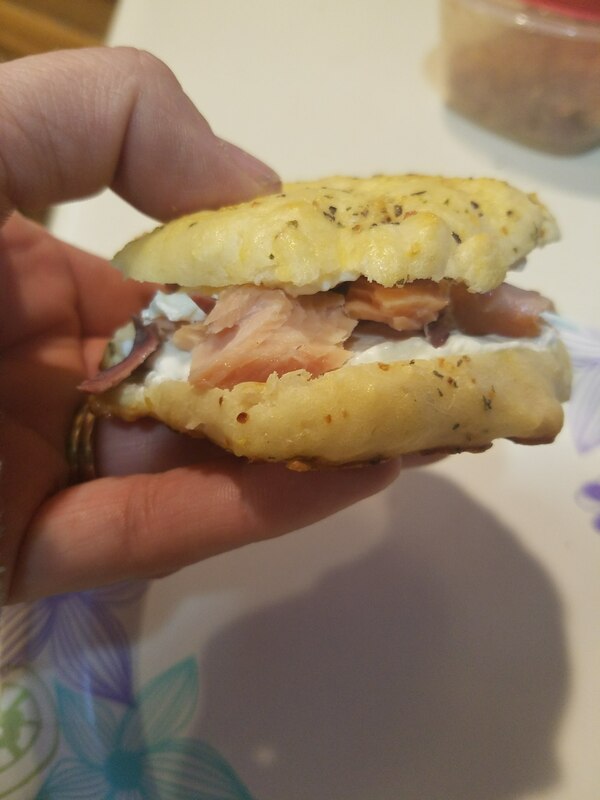 Today’s afternoon snack: fresh warm bagel with cream cheese and smoked salmon! Bagels are my per-race food! I also whipped up a Cashew Cheese that is AMAZING on these!! I’m working on posting that recipe too!! Dairy Free and delicious!